View out of the airplane window of the tourist-developed area on Aruba. The wide Eagle beach is nearest the camera, with the Bucuti hotel at the widest part, then beyond that are the high-rise hotels of Palm Beach - the most prominent white building is the massive Riu hotel, with the Hilton hotel invisible behind it. A few seconds before touchdown. 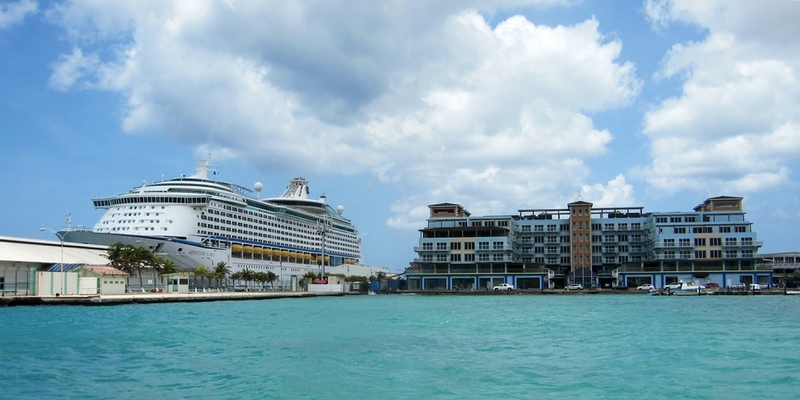 A massive cruise liner towers over the buildings of the capital, Oranjestad. Aqua Windie's dive boat was kept in the small-boat dock to the right. 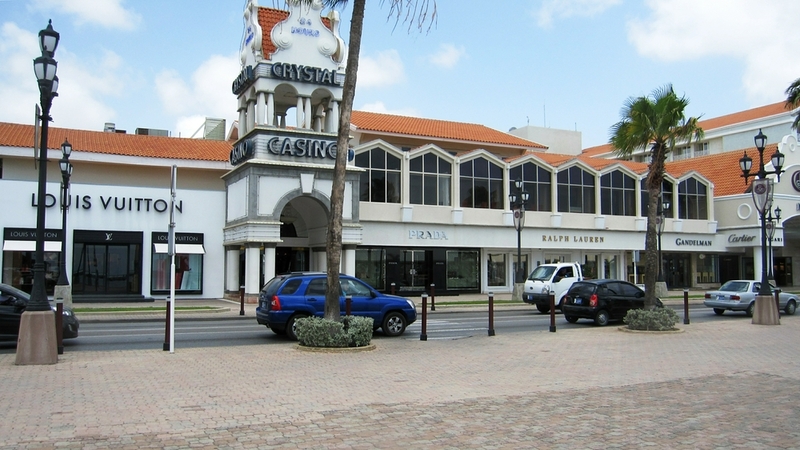 Downtown Oranjestad doesn't really have a Caribbean feel. When the cruise ships dock, these shops are full of passengers seeking duty-free bargains. 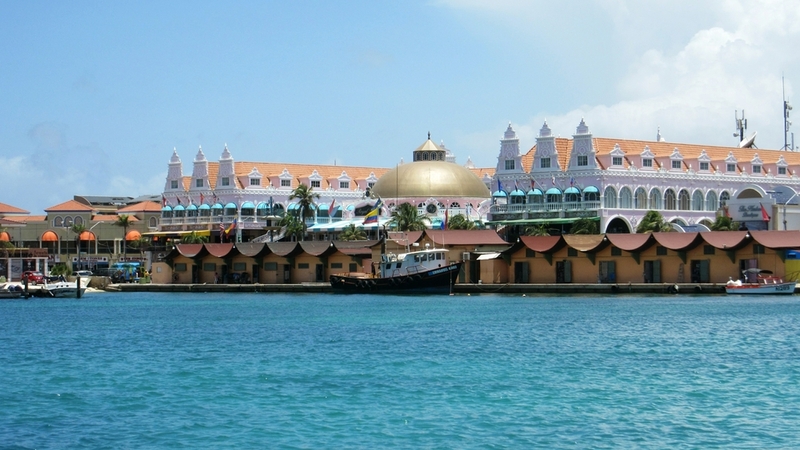 Is it Dutch colonial architecture? Is it a mosque? Shopping malls beside the cruise liner dock. The cruise liner towers over the adjacent shopping mall. The California Lighthouse (erected 1916) is on most of the 'See Aruba' tours. This photo was taken at the end of a dive as we bobbed up and down in the water, waiting for the dive boat to come over and pick us up. Lizards large and small are everywhere on the island. 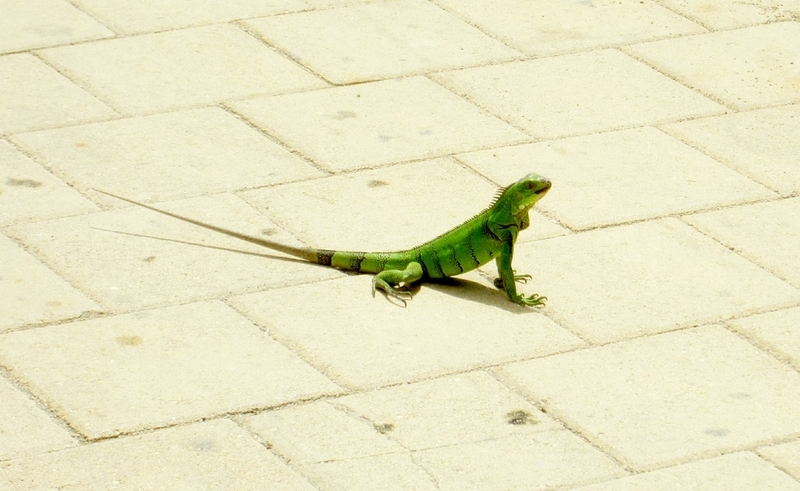 This one, about 75cm long, was in Aqua Windie's courtyard. 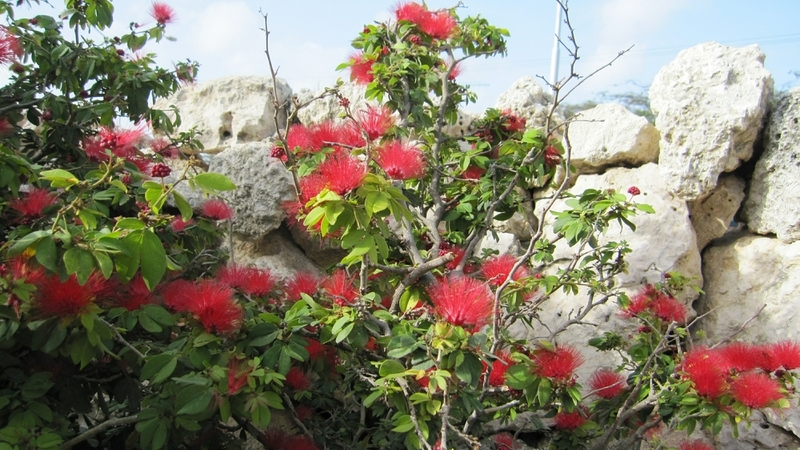 Pretty flowers grow well in the sun on Aruba, as long as they can get plenty of water.